Manifestodesign uses a full-grain leather from Tuscany, naturally tinted in barrels and certified. 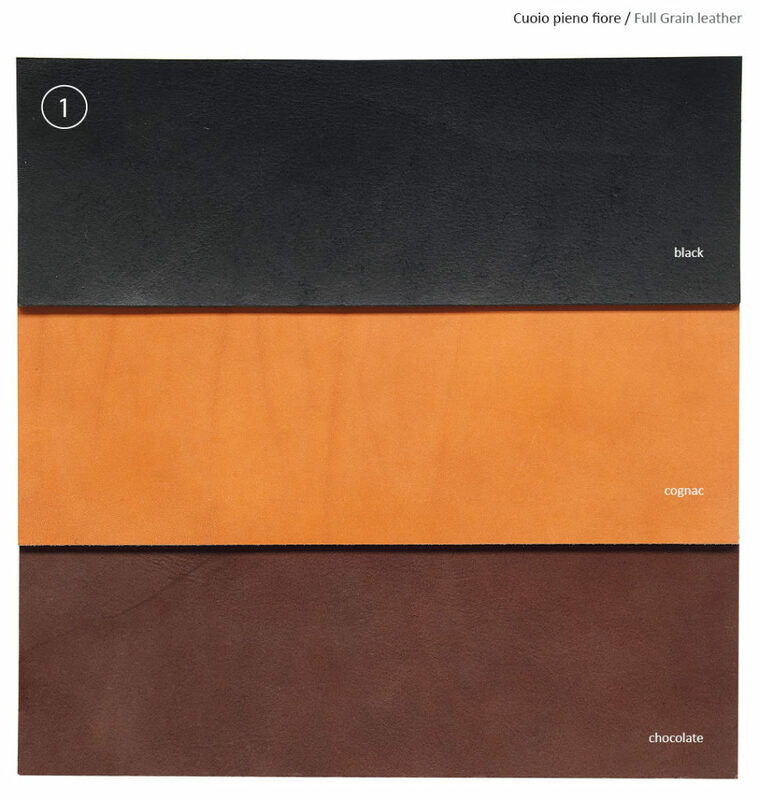 Being the leather natural it is enhanced through possible color different shades. Full grain leather, made in Tuscany and treated with vegetable tannins. Colors from left to right: chocolate, cognac and black. 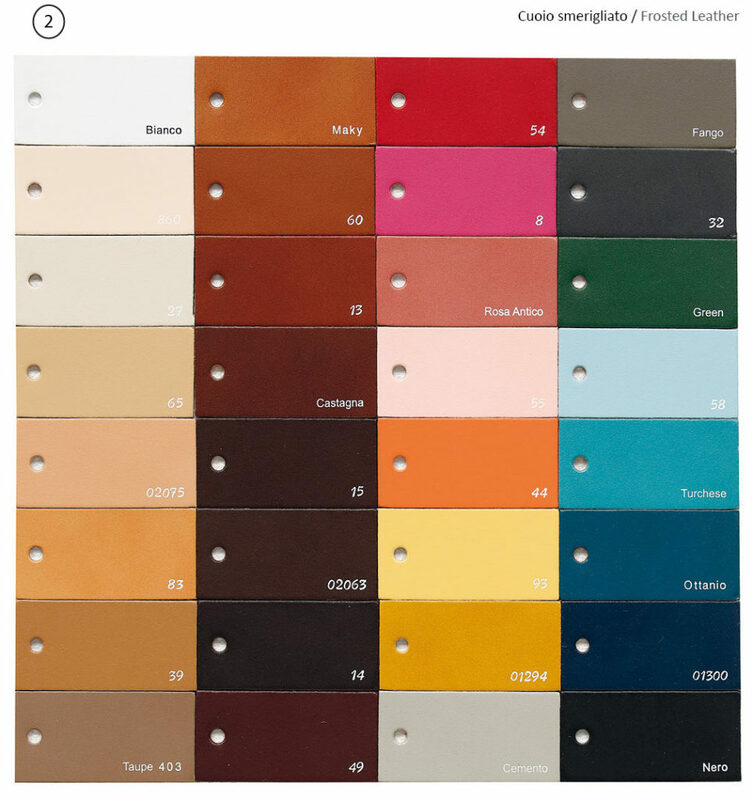 For outdoor or contract use we recommend the frosted leather. The colors from left to right: Marc 49, mud, black and white. Nourish the natural leather using a cleansing lotion to clean, a nourishing lotion to revive its color. If, instead, it is grinded or protected leather, rub it with a damp cloth.